I noticed the other day, while lamenting deadlines too severe to hammer out a blog post, that the total number of entries here at Atom-Bomb Bikini over the last three years (on the counter over there on the right sidebar) is 140 in 2007, 141 in 2008, and 141 again in 2009. Uncannily, while those numbers are almost exactly the same, they're completely coincidental, not reflecting anything but the regular ebb and flow of the frequency of my posting habits. Certainly shows some telling insight into how my mind works...diligence then procrastination, ignore then overcompensate, lather rinse repeat, in frighteningly habitual manner! 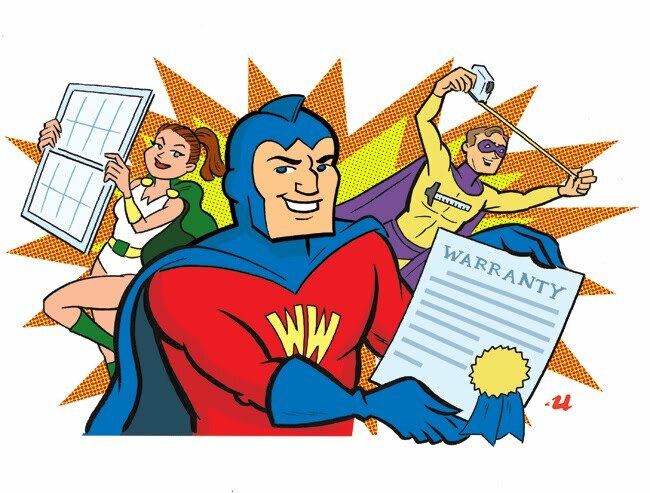 I created this cornball image for Remodeling Magazine last year...the story was about the need for contractors to offer rock-solid warranties on home improvement projects, lest they lose business in these recessive times. The goofy image worked well with the rather staid copy, a hallmark of the fun jobs Remodeling AD Pete M. kindly assigns! If you've ever ordered anything from my web shop, you know the place is a little...old-school, to put it mildly. Tiny photos, broken links, the works...which is why I've decided to upgrade a bit and set up a new shop with the fine folks at BigCartel! There are only a dozen or so items to begin with, but all the newest stuff is there for the buying. And it gets better...I'm running a "grand opening" sale through the end of the month! Enter "WWGRD" at checkout and you'll save 10% on your order! So have a look, let me know what you think of the new coat of paint on the place...and if you do decide to drop some bucks...THANKS! I arrived home to a hornet's nest of buzzing deadlines...I'll jot down some thoughts on the show when I can, but for now, here's the haul! 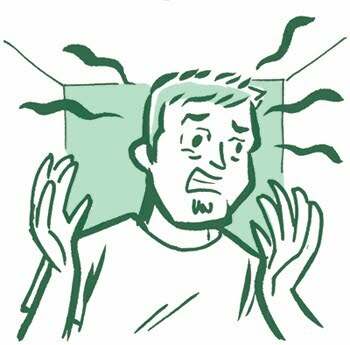 The trip to SPX over the weekend was awesome...more on that as soon as I scrape up some pictures to go along with my con report. Meantime, here's a little treat: an actual new comic! 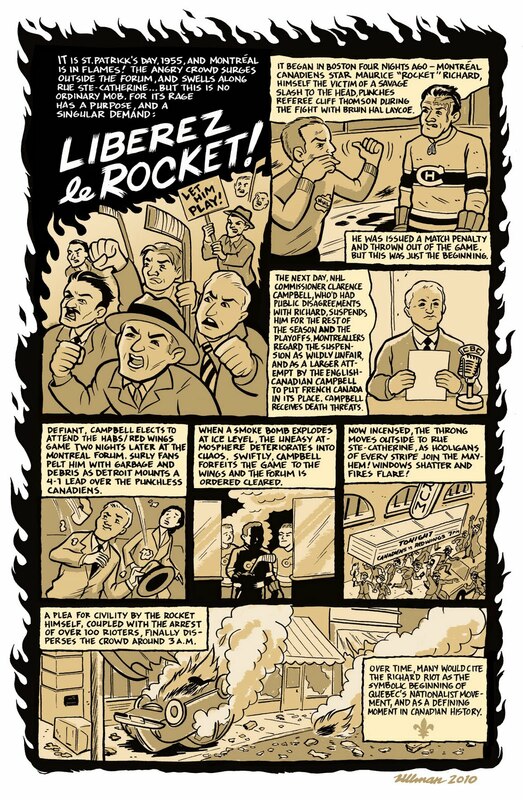 I laid out this strip years ago, planning to run it in Old-Timey Hockey Tales, but got busy with paying work and never finished it. 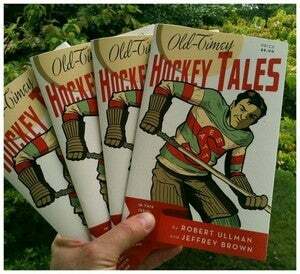 It laid there in my flat file until I was asked by my pal Teebz, who writes the excellent Hockey Blog in Canada, to fill in with a post or two during his month-long vacation in September. I figured it was time to dust it off and complete it, and I managed to add some color as well. 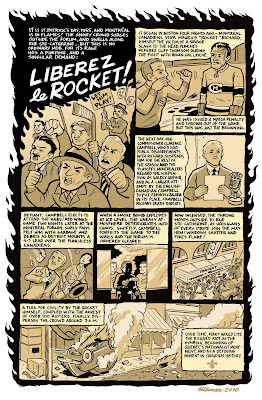 I had a few prints of the strip made up to take along to SPX...if there's interest, I'll go ahead and add some ordering info to the blog here. So enjoy, and here's hoping my attempt at writing en francais isn't too embarrassing! 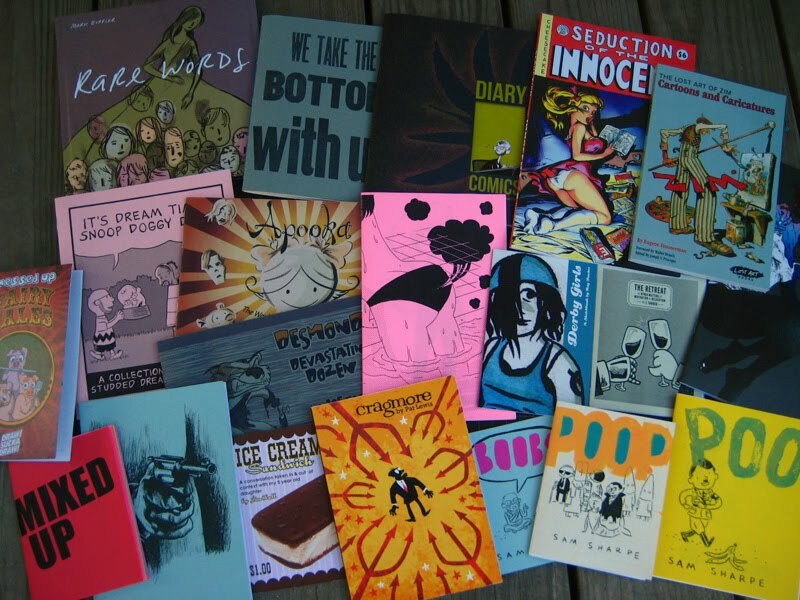 Friends, Small Press Expo 2010 is just a week away, taking place next Saturday and Sunday, Sept. 11 and 12. After several years of taking place in October, the show is happening a good deal earlier, about which I'm really excited...for years, SPX was always a great way say goodbye to the summer and kick-off the fall, and I'm glad to have it back in early September. Anyways, I'll be there with stalwart best comics pal and Wide Awake Press publisher J. Chris Campbell...and as you'll see on the convention hall map below, he's not kidding about the "front and center" part! 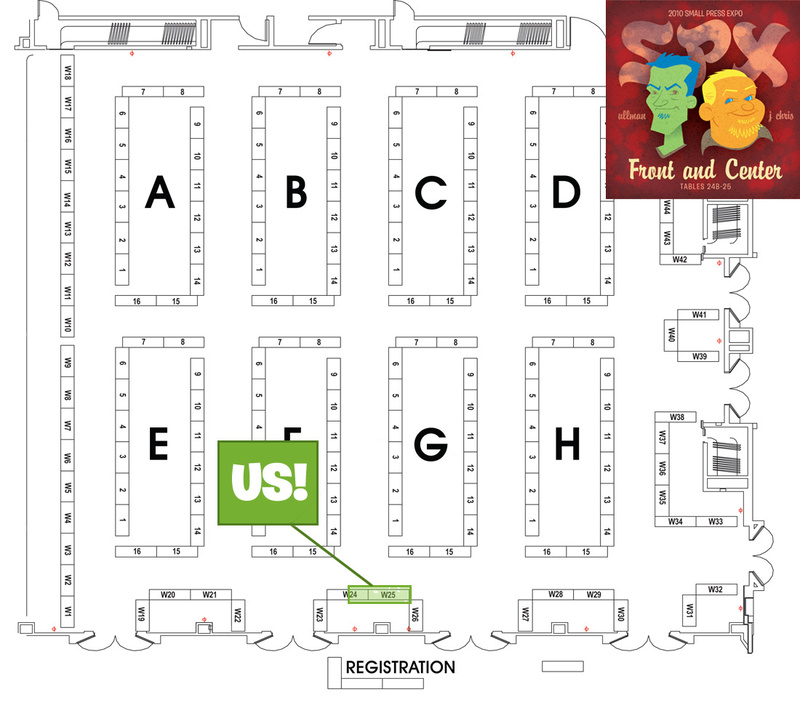 We'll be at Tables 24b-25, sharing a little homeroom with super-talented folks like Keith Knight, Monica Gallagher and Tim Fish. I can't wait! Though my new super-hero mini-comic, Diamond are a Girl's Worst Enemy, will unfortunately not be completed in time for the show, I will have the brand-spanking (no pun intended) new sixth issue of Teeny Bikini, as announced yesterday, as well as the new-to-SPX Traffic & Weather #2 and tons of other original art, books and prints. Stop by, won't cha?